Ballast block weighs 1500lbs & comes powder coated black. It has 12″ x 12″ & 20.5″ x 20.5″ plated box truss bolt patterns on 5 sides. It also has forklift intrusions on 2 sides. This ballast is used for truss grids, truss arches, truss towers and dead weight. Ballast block weighs 2500lbs & comes powder coated black. It has 12″ x 12″ & 20.5″ x 20.5″ plated box truss bolt patterns on 5 sides. It also has forklift intrusions on 2 sides. Ballast block weighs 3500lbs & comes powder coated black. 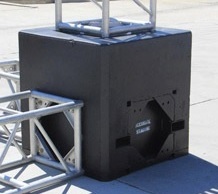 It has 12″ x 12″ & 20.5″ x 20.5″ plated box truss bolt patterns on 5 sides. It also has forklift intrusions on 2 sides. Water totes weigh approximately 95lbs empty and when they are filled with 275 gallons of water they weigh 2500lbs. Each tote can be filled from the top and features a valve at the bottom that you turn to release the water. It also has forklift intrusions on 2 sides just like a standard pallet. These are ideal for when you need 2500lbs of dead weight and weight becomes a factor when transporting to and from a job site. All you need is water. A water truck can fill one of these tanks in under 4 minutes. Spansets/Roundslings, shackles and other miscellaneous rigging equipment can be used to secure the tote to be used as dead weight. This concrete bunker/bin block comes in 2x2x4 dimensions, weighs approx 2500lbs and comes with a re-bar loop on the top of it for unloading/loading. These blocks are available in grey and black. Ballast blocks are an economical way to utilize dead weight to secure platforms, scaffold and mezzanine structures, tents, truss arches/structures, and domes. 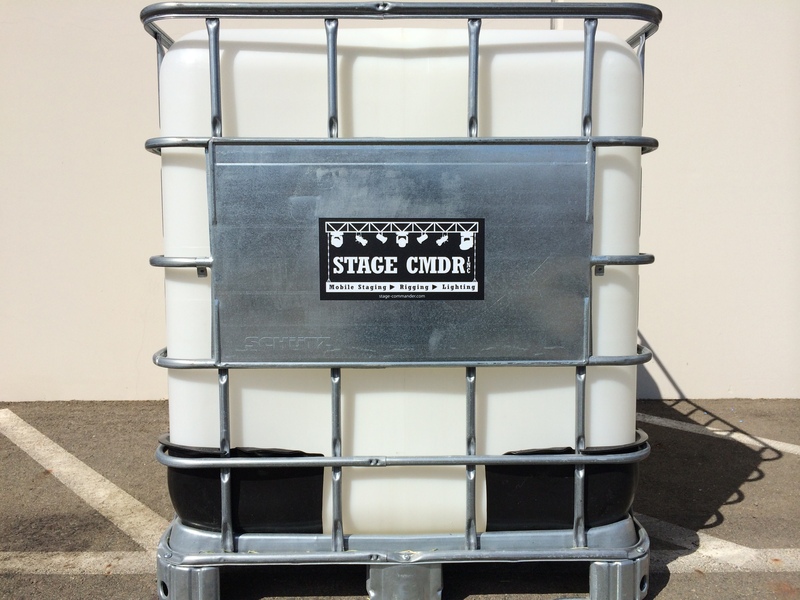 This concrete bunker/bin block comes in 2x2x6 dimensions, weighs approx 3500lbs and comes with a re-bar loop on the top of it for unloading/loading.